A graphic designer and publicist by profession, Toxicómano Callejero (whose name translates as Street Junkie) hit the streets at the head of a group of urban artists with noble intentions who post messages on walls to combat what he calls “double and single standards” and ignorance. He is a genuine street artist; for him, the urban landscape is always his primary canvas. 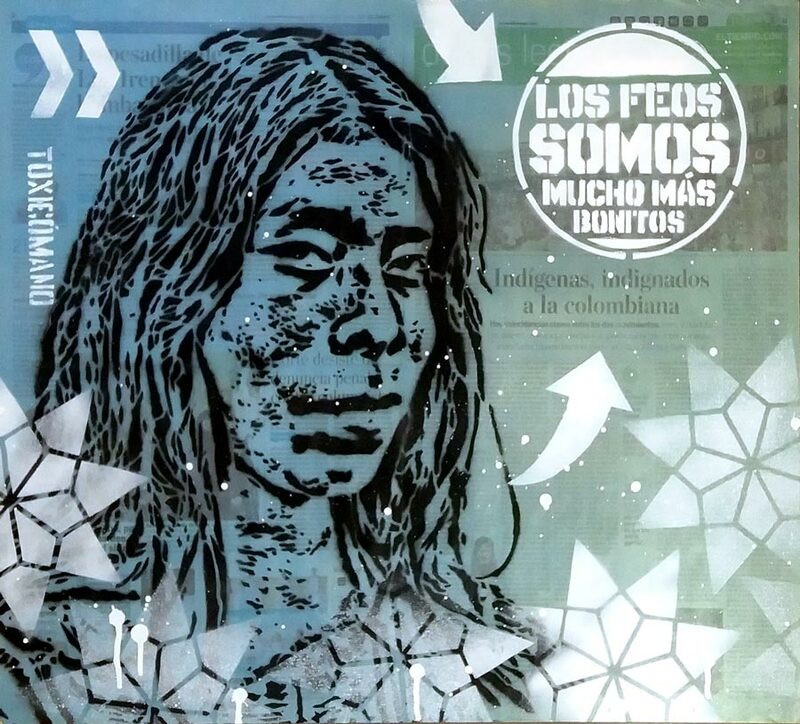 Although his creations can be found on streets in Colombia’s main cities, Toxicómano’s work has occasionally found its way onto the walls of public buildings like the National Library of Colombia. As a result, his message has spread beyond the streets and the art world to gain recognition in the institutional sphere, without diluting his style, strength or personal convictions. The images and texts in his work are drawn straight from the world of graphic design. His immediate artistic influences are punk rock, especially the Spanish bands of the 1980s, global pop culture, street culture and mass communication strategies. His language and lettering recall the pasquinades of the 1950s, conveying impeccable social messages that leave a lasting impression. He has created urban interventions in Germany, Sweden, Colombia, Mexico and the United States and participated in group shows in Canada, Spain and Italy. Join our mailing list to receive the latest news and updates and a 10% off your first purchase.